The three Linden men killed in clashes with Guyana Police Force ranks while protesting an increase in electricity rates are to be buried on Emancipation Day, August 1. This was relayed to the media on Sunday by Region 10 Chairman Sharma Solomon who said they are looking to have a public viewing of the men at the Square of the Revolution, Georgetown. Four stores in three buildings on the northern side of Regent Street between streets were gutted by fire this morning leaving millions of dollars in damage and the owner of one them collapsed at the scene and was later pronounced dead at the hospital. 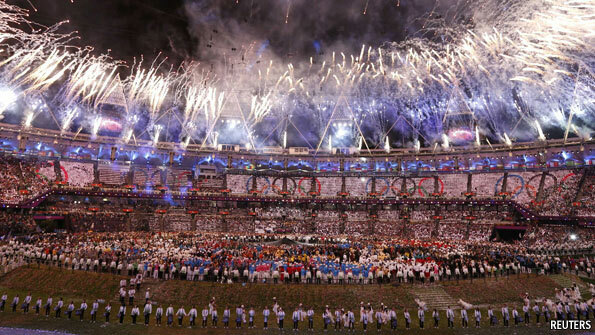 OLYMPIC opening ceremonies are a strange beast. Because nearly everything else that happens at the games is guided by what the International Olympic Committee commands, the nation host often sees the opening show as its great chance to present itself to the world. London and Britain certainly did that over nearly four hours on July 27th. But what message was the country trying to get across? The Private Sector Commission (PSC), reeling from the effects of the Linden standoff, is urging the Government to take prompt action and set target closure times for the implementation of several proposed projects and interventions in the mining town, where there have been accusations of promises made but not kept. In a statement issued recently, the PSC wants the government to liberalise television broadcasting in the Linden area in keeping with democratic norms, giving particular support to Trade and Skill development programming. It also wants the government to create a skilled, qualified and empowered team of civil society leaders with the vision to deal with the issue of economic development in the Linden area; a team that will work along with people of Linden and the appropriate government ministries to turn Linden into the Manaus of Guyana. The contentious Kara Kara Bridge remained under the control of Joint Services Ranks for most of yesterday, after it was cleared of logs and other debris which were placed there by angry protestors. Dozens of ranks formed themselves into human barricades on both sides of the bridge some 30 meters away to prevent demonstrators from replacing the blockages. The operation to clear the bridge commenced early yesterday morning with a bulldozer aiding the ranks in the arduous task. However, residents continued to place old car parts and fallen trees across the stretch of road between the Amelia’s Ward, First Bus Shed and the Police Outpost. 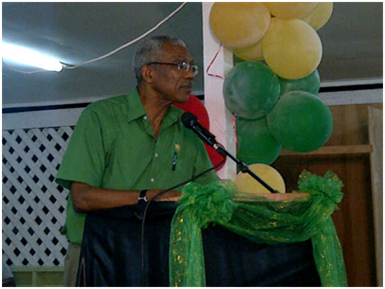 Leader of the Opposition and Chairman of the APNU retired Brigadier David Granger has been declared the Leader of the People’s National Congress/Reform, according to sources. He defeated former finance minister Carl Greenidge at the party’s 17th Biennial Delegates Congress securing 512 votes to the latter’s 175. There was one spoilt vote, Demerara Waves Online News learnt. Attorney-at-law Moses Nagamootoo, who made headlines on Nomination Day when he defected from the Peoples Progressive Party Civic (PPP/C) and campaigned for the Alliance for Change, says that the latest revelation coming out of Office of the President has vindicated his position during the recent Budget Cuts. President Donald Ramotar’s visit to Linden has been put “on hold” as protesters Saturday afternoon continued to block the Kara Kara Bridge the main entry and exit point to the community. “The President’s visit to Linden is on hold,” Office of the President spokesman, Kwame Mc Coy told Demerara Waves Online News (www.demwaves.com). He did not elaborate on whether and when Ramotar would go to the south-eastern town. The Guyanese leader should have been Linden by 10:30 AM Saturday to meet with stakeholders and have a walkabout the town that has been tense but calm since last week Wednesday’s eruption of unrest following the killing of three persons and injury to several others while protesting against the increase in electricity rates from July 1. It is become clearer that there is the Office of the President and the General Secretary of the People’s Progressive Party, based on the salaries paid to some party functionaries within that office. The same Presidential Office that complained about Super Salaries upon the change of Government nearly two decades ago has some whooping salaries for the politicos at the Office of the President. And that is not all, the same PPP that complained about the merger of Political Party designations with State or National offices may have done so in form and substance although not in name!